HERE WE GO, as promised we bring you the RINKO the Gecko ORIGINAL version release details! Ever since last year when Thailands Sukrit Jitshob of iTTiRITx showed us the prototypes of RINKO we’ve been looking forward to the finished resin figures. From the feedback from you guys, you were excited about the release too. 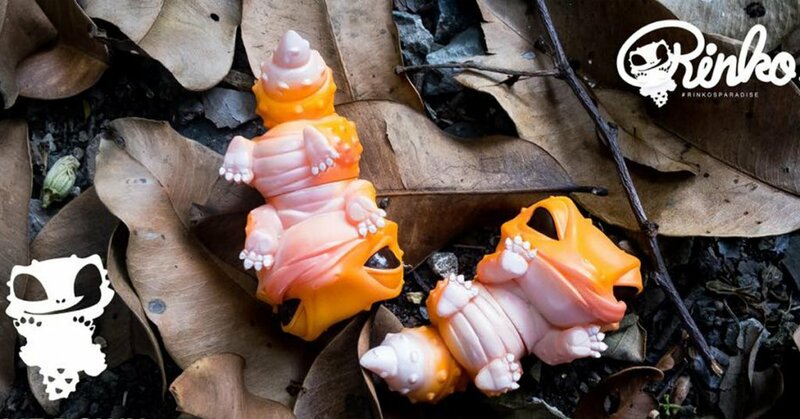 Sukrit has caught our eye once again mixing nature and the adorable poses of Rinko the Gecko and now they are ready for new homes as RINKO the Gecko ORIGINAL versions will be made available. WHEN: February 18th, 2018 8.00 pm Thailand Time.
. Paypal only and through Paypal invoice. .DOES not accept another payment method.
. Sukrit Jitshob of iTTiRITx will send the message to you guys to confirm your order. I live in Japan. How can I buy it? Full release on how to buy in the blog post. Andy, thanks!And thanks for sharing your great posts every week!